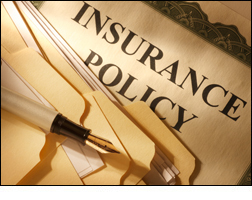 Insurance policies can be difficult to understand, even by sophisticated individuals and business people. Yet, the seemingly impenetrable language of an insurance policy may determine whether or not you will survive financially after a devastating personal or business loss. The insurance attorneys of The Williams Firm can not only help you understand what your insurance policy covers, they will aggressively pursue litigation against an insurer who fails to live up to its responsibility to you as a policyholder. Has your insurance claim been denied or delayed? Have they failed to defend you in a lawsuit over damages covered in your policy? You may be the victim of insurance bad faith. For knowledgeable legal advice in matters of insurance law and insurance bad faith, please contact an insurance attorney at The Williams Firm today.